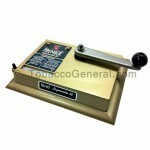 The Excel is the fastest and easiest tabletop cigarette injector machine on the market, at a popular price. 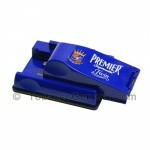 Lightweight and durable, its modern styling, anti-slip grip and convenient size make it the favorite of people on the go. Of course, it works best with high-quality Premier tubes available in King Size and 100mm-Full Flavor, Light and Menthol varieties. 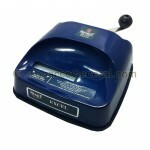 Complete operating instructions and one year limited warranty are included. For King Size cigarettes, the Supermatic II is the only way to go. 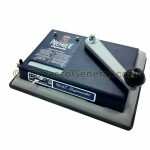 With all moving parts made of metal and high-grade plastic cover, this machine is lightweight yet incredibly durable. It offers consistent precision-filled performance, and of course, works best with high quality Premier tubes available in King Size and 100mm Full Flavor, Light and Menthol Varieties. One-year limited warranty and complete instructions are included. Regarded as the finest tube injector in the world, the Premier Supermatic has a rugged, all-metal construction and a unique size selector switch for durable versatility that can't be found with any other machine. 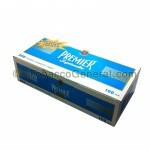 It works best with high quality Premier Supermatic tubes available in King Size and 100mm, offered in Full Flavor, Light and Menthol varieties.